BEER SHEVA (Dec. 28, 2012) — A recent blog post rhetorically asks: “Tzipi Livni — who are you?” The writer then proceeds to systematically misrepresent Livni’s two decades of public service and positions on any number of issues. But the question is certainly worthy of an answer that is actually informative and accurate. As a member of Tzipi Livni’s list for the Knesset and as sp,epme who worked with her to formulate the party’s social and environmental platform, perhaps I can provide some very specific answers about what Livni stands for — and, if we’re already talking, why voting for her makes sense for those who care about Israel. Livni and the HaTnua party support a peace agreement between Israel and the Palestinians based on two countries for two peoples. A two-state Israeli-Palestinian peace framework constitutes a security, economic, social, environmental and ethnic imperative — it is a necessary condition for Israel’s security, prosperity and stability. Livni and HaTnua believe that while Israel must remain strong militarily, it also must conduct responsible and comprehensive negotiations with the Palestinians and with the other countries in the region. Both Palestinians and Israelis deserve to live in sovereign states of their own wherein they run their respective affairs, shape their respective futures, and express their respective aspirations. In order to bring the conflict to an end and achieve order, it is incumbent upon us to conduct effective negotiations with the Palestinians and the surrounding Arab nations and not undermine the prospects by expanding West Bank settlements. Livni always has been a voice for long-term strategic thinking, unlike current Prime Minister Bibi Netanyahu, who is a brilliant tactician, but who is chronically myopic, lacking a long-term vision. That’s why public-transportation investment in Israel in the past four years lags behind the rest of the world. That’s why, despite promises, Israel has less than one percent of its electric grid powered by renewable energy. And that’s why the Likud government is racing to sell off the gas reserves in the Mediterranean to foreign countries at the expense of future generations before it even knows how much gas is there and before it has a long-term energy strategy in place. According to the platform of HaTnua, security is not just a military matter. That’s the reason why Livni approached me and the Green Movement, Israel’s green party, and asked us to join her list and lead the party’s work in the areas of environment, energy, transportation, animal welfare and planning. According to the party’s environmental work plan, the first and foremost areas of concern are air and water quality and open spaces. But there are many other environmental challenges, from the disappearing Dead Sea to the polluted Mediterranean. 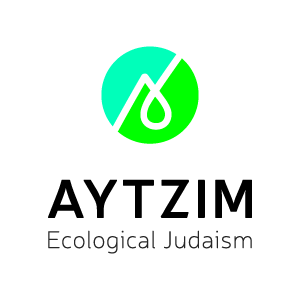 Despite lip service, Netanyahu has pursued an anti-environmental program involving privatization of public resources, evisceration of our planning laws and general preference of profits over public health. In Israel today, one in every three children lives below the poverty line. The hyper-capitalistic economic orientation of the Netanyahu government has increased the gaps between haves and have-nots in Israel to intolerable levels. Hailing from the development town of Shderot, Amir Peretz, former chair of Israel’s Labor party and probably the country’s leading advocate for social equity, joined Livni and is number three on HaTnua’s Knesset list. He has designed the social-policy platform for the party, which includes proposals expanding the supply of public housing for the disadvantaged, increasing the minimum wage, improving education in the periphery, changing the value-added tax to make it more progressive, and a range of policies that when implemented will dramatically expand social justice in Israel. Livni also knows that Israeli democracy is in crisis. Voting rates in national elections are steadily dropping, undermining the legitimacy of elected officials and their decisions, and testifying to the loss of faith of Israel’s citizens in their capacity to influence the system or public life in general. The way to revive Israeli democracy is by nurturing the citizenry and empowering it. The Israeli citizen needs to be a partner — either directly or via its representatives — in the processes and institutions that shape life in this country. There is no reason why such processes take place behind closed doors where the voice of public interests is not heard and where information remains concealed. Moreover, Livni has fought for a strong and independent Supreme Court that has constituted an essential component in ensuring the democratic nature of the State of Israel since its inception. The intervention of the High Court of Justice has strengthened and developed civil rights, protected minorities and disenfranchised constituencies, defended the rule of law, and even led to certain improvements in Israeli environmental policy. Yet, under Netanyahu, it has faced recurrent attacks on its autonomy and authorities. Livni will preserve a strong and independent judiciary in Israel. The schism between Orthodox and non-Orthodox Jews in Israel has exploded in its scope, with little real connection to the essence of the Jewish religion. Livni, herself a Conservative Jew, believes that every community and religious stream in Judaism has the right to express its Jewishness as it wishes. Every human being has the right to choose the way the he or she marries or is buried. These lifecycle events are life’s most intimate moments, and people must be free to hold rituals and ceremonies according to their beliefs. The Sabbath should be a day when business and commerce are not held, but also when public transportation is available and recreational and cultural venues are open. Moreover, under the Netanyahu government, the role of women in the public sphere has been challenged due to ultra-Orthodox extremism that Netanyahu has been unwilling to contest. Livni is perhaps the only politician in Israel who has stood up to the blackmail of sectoral parties in the past, willing to pay a political price for her principles. She will continue to do so. Finally, there is the issue of responsibility for national defense. Today some 50 percent of Israel’s first graders learn in schools that are not part of the mainstream Zionist public-school system. If the situation at present continues, in 12 years they will not be drafted into the military and will not undertake national service. This constitutes a tremendous threat to national unity as well as security. Put to the test, Netanyahu has capitulated time and again to his Haredi coalition partners, preferring political survival over the national good. Livni and HaTnua believe that all citizens at the age of 18 have a responsibility to give back to society. For those citizens for whom military services is not appropriate, there should be a rich range of opportunities to contribute to society through national service, including a new Green Corps that will work to restore some of Israel’s damaged environmental assets. It is no wonder that the leaders of the social-protest movement are candidates on Livni’s list. She’s serious about making a fundamental change, which is critical for Israel’s economic and social survival. These are positions where Livni is fundamentally different from Netanyahu and the present Likud government. You might not agree with her views. But to claim that she doesn’t stand for anything is disingenuous, misleading and just wrong. For many of us, Livni and the alternative vision for Israel’s future that she advocates offer hope after a very difficult four years in our promised land.